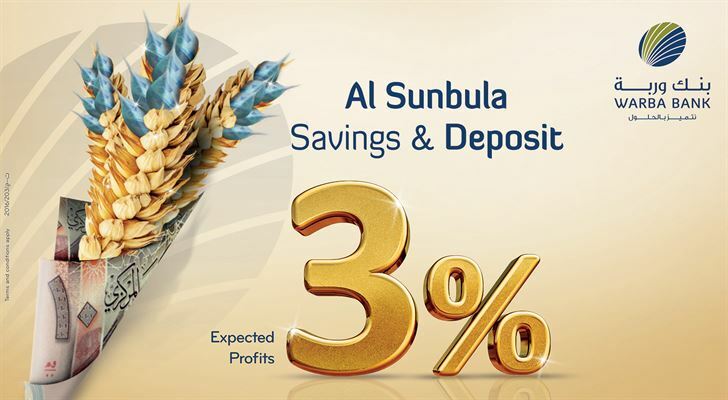 ‎Warba Bank has introduced Al-Sunbula Deposit as one of the new developments supporting Al-Sunbula Account. This deposit is the first of its kind in Kuwait providing customers with a high profit rate distributed on monthly basis giving them the opportunity to enter the monthly draw in Al-Sunbula Account for each KD 100 deposited and win valuable prizes. Al-Sunbula Deposit is available to customers whether they have or do not have Al-Sunbula Account. By launching Al-Sunbula Deposit, Warba Bank offers its customers wider options by enhancing their winning chances. ‎Today, our customers can distribute their deposits between Al-Sunbula Accounts and Al-Sunbula Deposits so that they can get double winning chances at the monthly draw of the Al-Sunbula Account and enjoy the high monthly profits from Al-Sunbula Deposit. ‎"Today, Warba Bank is the champion of Islamic banking industry in Kuwait. This reinforces its efforts to innovate banking and investment solutions that appeal to its customers, particularly that the Bank is firmly confident and going ahead towards further growth, expansion and development. Moreover, Al-Sunbula Account provides valuable opportunities to customers. 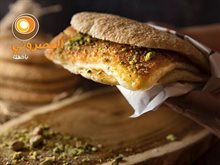 The customer gets one chance to win in the monthly draw for each KD 10 in the account. This means multiplying the chances of winning by increasing the amounts deposited to win the draw prize available all year round. Based on the principle of "investment agency" applied in the saving discipline, ‎Al-Sunbula Account is available to all Kuwaiti and expatriate customers. Salary transfer to Warba Bank is not a prerequisite. Hence, any eligible individual can open Al-Sunbula Account at one of the Bank's branches within a few minutes, via the online banking services, or through Apple and Android devices. 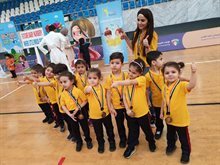 Furthermore, everyone can view the details of Al-Sunbula Account, account opening terms and benefits in detail by visiting the Bank's website‎.